I stumbled across Federal Fusion MSR several years ago while looking for a commercially manufactured Mountain Lion load for a .223. I needed a bullet that would expand, but at the same time have a high weight retention for deep penetration. This combination was not often found readily available in the venerable .223 cartridge, as they are often relegated to varmint and small predator duty. To complicate the situation further, I wanted to use this round in my favorite AR15 platforms, many of which sport 16 and 18 barrels. Enter the Federal Fusion MSR round, especially designed for this very purpose. 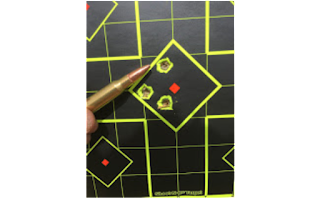 Federal designed this round as an answer to whitetail deer hunting with the .223, as some states have lifted a long time ban on the small center fire. I was equally excited to discover they offered the Federal Fusion MSR in 308 Winchester. The perfect compliment to my AR10 for all medium sized game. amount of weight retention. The bullet has a traditional lead core and a copper jacket. Where it differs is that Federal states they have, "electrochemically" bonded the core of the bullet with the jacket, ensuring they do not separate during the expansion process. Additionally, they internally skive the exposed lead core tip of the bullet. 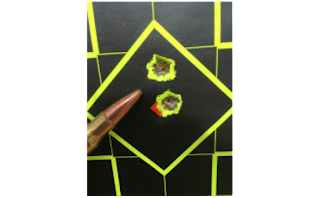 For all of you non-bullet geeks out there, this means there are small cuts on the inside of the jacket near the tip of the bullet that pre-program its opening and expansion. The bullet is a boat tail profile and has a ballistic coefficient in .223 62 grain of .31 and in 308 165 grain of .446! The gold standard in 308 in ballistic coefficient is the 168 grain Sierra MatchKing is only slightly higher at .464 BC. 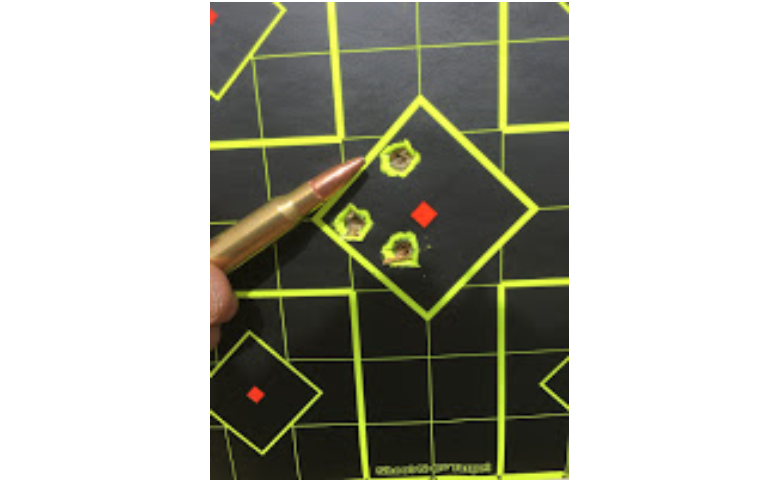 While Federal offers a complete line of Fusion in rifle, and now some handgun ammo, they specifically designed the MSR line cartridge for use in modern sporting rifles. This is the polite way to say assault rifle or AR platform. The cartridge itself is military style primed and works with free floated firing pins. Federal also states they use a clean, fast burning powder to boost velocity in shorter rifle barrels. There is a bit more that goes into this cartridge, so for further details on it I suggest you head over the Federal's website and get it directly from the source. By far the best part of testing any new cartridge. As I wanted to use both the .223 and .308 Fusion in my AR platforms, I loaded up on both the 62 grain .223 and 165 grain 308 rounds. ammunition between the two rifles. During the testing there were no malfunctions and the ammo ran smoothly through the rifles. Accuracy was sub MOA on one rifle, and just over on the other at 100 yards. The AR15s were a Colt SP1 Sporter, and custom build rifle with a 16 barrel featuring a RGuns upper assembly and Palmetto State Armory lower. The SP1 had the greater accuracy of the two. I next shot the Fusion through my AR10 over the course of several outings to the range. I put over 60 rounds through the rifle and again experienced no malfunctions, head stamping, or any other indications of cycling issues. I have seen some metering issues with other ammo before and did not find any here. What impressed me most was the accuracy. MOA at 100 hundred and near Sub MOA at 200 yards! This ammunition seemed to be made for my rifle. 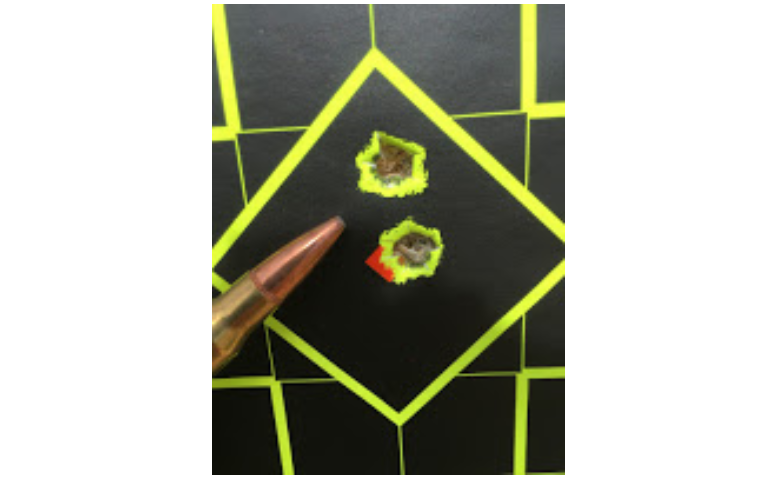 Alos, the 165 grain bullet drop was perfectly matched to my Nikon M308 with a BDC built for the 168 grain built. 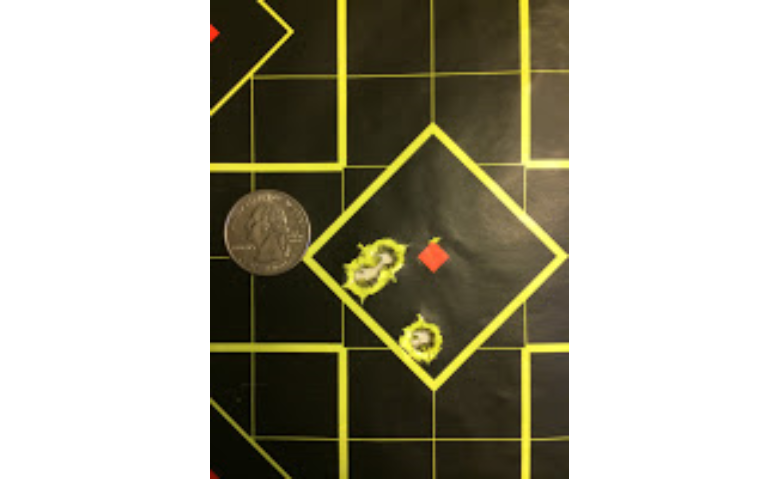 I was easily hitting an 18 inch target at 400 yards just by holding the correct drop dot. The AR10 tested was a custom built with an 18 inch free floated barrel by Black Hole Weaponry, and a DPMS upper and lower. Many people talk about ballistic gelatin tests, but I prefer the real thing: actual hunting situations. I put 20 rounds in mag of the SP1 and headed out with the call box to try to find some coyotes. I was in luck on my first outing and after several calling stands I had a nice pair of coyotes running into the caller. The shot was at 70 yards and the coyote was on a trot directly toward the caller. I hit the dog a little farther back than I would have like to, but it knocked him over and he didn't get back up. Later I found the bullet had entered and exited the coyote, with the exit hole larger than the entrance. I was convinced these would be my new all-around predator calling round. I had to wait a bit long for deer season to role around in Colorado to further test the 165 308. On the first day of the hunt I was sitting up in a rock pile enjoying my thermos full of coffee when a little buck popped up at 199 yards. An easy shot for sure, and after setting down my coffee, I lined up on him and took the shot. He tumbled over backwards and could not rise, a 308 hole through his chest. It was quick and humane. Upon skinning him I found again the bullet had exited with a hole slightly larger than the entrance. The next day I had a new hunter with me and we were on the prowl for a buck for her. After a hike up one of the tallest mountains in the area, we found a beautiful buck bedded above us. He stood for a shot and at 162 yards the new hunter dropped him with a front shoulder shot from my AR10. The bullet had entered one shoulder and exited the other. There was clearly more expansion on this exit hole. This buck was very large and again he never took a step after the hit- just dropped in his tracks. During skinning and butchering I did not find any bullet fragments that would indicate the bullet broke apart. The Federal Fusion round is an excellent choice for anyone wanting to hunt with an MSR, or a traditional hunting rifle. It is accurate, expands, and retains it weight. Overall it's devastating on game. I am sold, and plan to use it for all of my MSR hunting situations from predator, to medium sized game, up to Elk. Thanks for the review for this rifle. You can visit Deer Hunting Supplies if you are looking for rifle and other deer hunting gear. How was fur damage on the bobcat using the fusion 223? This review is really excellent that you covered here, thanks.